"Music Publishing: The Complete Guide" is fantastic. It is personal, practical and even includes excellent real world case studies. Furthermore, the helpful agreement annotations and comments are a most excellent resource for breaking down agreement language and terms for the reader. Winogradsky's knowledge, experience and sense of humor make this the best music publishing text I've read. All those interested in learning more about music publishing or having a sharp reference text should get this book! Steve Winogradsky's "Music Publishing - The Complete Guide" is the perfect resource for music industry veterans and those just starting a music business career. It all starts with a song and understanding how 1) a song makes money; 2) who gets paid; and 3) who owns the rights to the song. 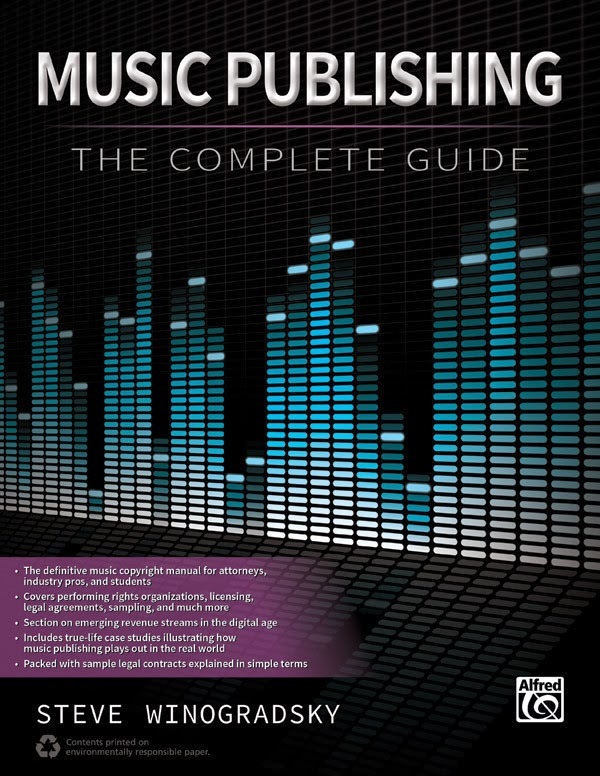 This book will help clarify your understanding of music publishing. I was having difficulty conveying a particular licensing concept to a colleague. Steve's description and examples were right on target to help my colleague grasp the topic. Steve Winogradsky has managed to bring music publishing [somewhat kicking and screaming] into the 21st century with a highly readable and instantly practical guide to all things related to music publishing. Specifically, he has obviated the maintenance of multiple desk copies of reference materials reconciling traditional music publishing issues and those arising from the digital delivery of content. Highly recommended for music/digital business students and professionals alike. We used this book in our California State University, Northridge graduate Music Industry Administration program in the Music Copyright & Administration class this past summer and the students loved it! First of all, it was written by a practicing attorney working in the music industry in Los Angeles. What I loved the best about this book are the sample annotated agreements that are included. That is so helpful when you are reviewing complicated agreements and trying to explain them to students. The book also presents the historical perspective, trends and revenue opportunities in the evolving digital arena. It's a very easy read and provides the key points for all types of deals. It also has some great anecdotes and case studies from Steve Winogradsky's real world experience. I could see this book being used as a great resource for not only music business students, but also industry pros, lawyers and law students. © 2016 Steve Winogradsky. All Rights Reserved.